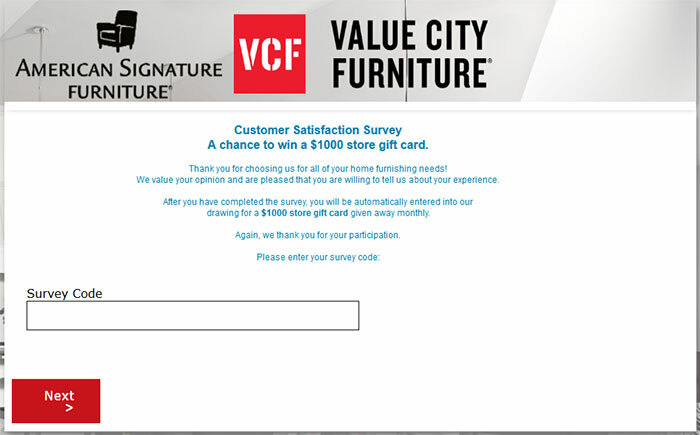 The Value City Furniture Customer Satisfaction Survey aims to collect valuable insights from buyers about their experience in the store and with the products they bought. Through their inputs, the business can take bolder steps to improve their offerings and services. To make it more enticing, Value City Furniture is offering a $1,000 gift card to monthly winners of their prize draw. You can get the chance to win just by participating in the survey. Use the code in your receipt to gain access. The link is written down below, along with a few instructions. Value City Furniture was founded after the war in 1948. It was the baby boom era and there was a high demand for nearly everything. These included homes and furnishings. The furniture company provided young couples with affordable yet high quality pieces that they could be proud of. There are now 128 locations across 18 states, mostly in the Midwest, Southeast, and East Coast. They have a complete line for every room in the house. These come in many different styles from traditional to modern. A receipt from the Value City Furniture store. Go to the survey page at www.valuecityfurniture.com/survey. The splash page will encourage you to join with the chance to win a $1,000 gift card that you can use in any of its stores. The sweepstakes draw happens monthly. In terms of survey prizes, this is definitely one of the highest out there which shows how much they value the opinion of their customers. Tell them when you last visited their store and where it was. Give your overall impression of the experience. Rate is according to your personal standards. Assess the store in a more surgical manner by rating specific elements like the assistance given by the staff, the look of the displays, the availability of the stocks, the prices of the products, and so on. Determine the likelihood that you will come back to shop at the store and that you will recommend it to friends. Tell them about the problems you encountered as well as exemplary service provided, if any. Share your thoughts on how they might be able to improve your experience the next time you come around. Enter your contact details if you would like to get notified of the results of the prize draw. Value City Furniture was born out of a great demand that has only gotten bigger as the decades passed. Join the survey and tell them how well they are keeping up with the times.